Always dreamed of a backyard with an outstanding pool? How about a fire pit table by the pool or a hot tub? Valley Spas & Pools does all of this and more. 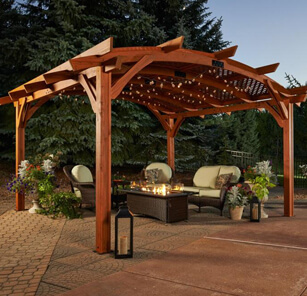 Pergolas can do so much more than bring all of your outdoor elements together, they bring families and friends together. They create an attractive focal point on your deck or patio-a cozy spas that begs to be lived in. © 2019, Valley Spas & Pools. All Rights Reserved.